Superheroes are hotter than ever on TV and in movies right now, and showrunners had to bring their A game in order to stand out from the rest. In 2015, there were no less than seven superhero-centered shows on the small screen, and each had their big moments. From a plane rescue kicking off the comeback of “Supergirl,” to “Gotham” running over with villains, from “The Flash” coming face to face with a half-man half-shark meta-human to “Dardevil’s” towering villain Frisk’s many brutal acts, there were plenty of jaw-dropping moments to choose from. Below, TheWrap picks seven of the biggest, most shocking, most revealing and most badass moments from superhero shows that aired in 2015. Agent Grant Ward (Brett Dalton) has been a ticking time bomb ever since the revelation that he had been a HYDRA agent all along back in Season 1. He was still a series regular, but could not continue on in this limbo. 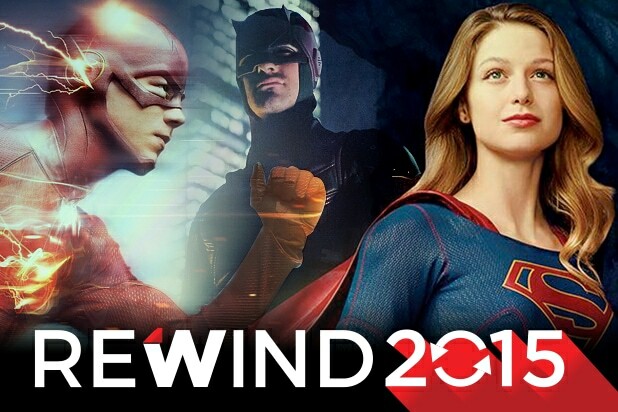 Barry Allen (Grant Gustin) went to a lot of trouble to go back in time in an attempt to save his mother’s life and it’s all coming home to roost in Season 2 of The CW hit. By creating a singularity, he unwittingly opened up his Earth to invasion from a parallel universe called Earth 2. And not only has Earth 2 introduced a scary new villain named Zoom, it’s also opened the door to doppelgangers and doubles and lots of confusion for the Central City crew. In a season dubbed “Rise of the Villains,” none was anticipated as much as the arrival of The Joker. “Shameless” star Cameron Monaghan was brought into the fold, and many assumed his character, Jerome Valeska, was destined to become the iconic DC villain, but just three episodes into Season 2, he took a knife to the neck, seemingly out of nowhere, and ended that trajectory. A blind superhero’s full capabilities were beautifully and expertly showed off in a fight scene that some have deemed “the greatest fight scene in TV history.” High praise, but not unearned by the three-minute-long one-take action sequence that saw Charlie Cox‘s Matt Murdoch take out a gang of bad guys. They had guns and numbers on their side, and while he got winded several times over the course of the fight, Daredevil came out on top. A moment that’s been teased from the very beginning of the show, Oliver Queen (Stephen Amell) finally manifested his destiny and called himself Green Arrow, just like his comic book alter ego, in the Season 4 premiere. From the killing machine who called himself the Hood in Season 1, to becoming Arrow, to the new symbol of hope in Star City, Oliver declaring his new identity on TV screens everywhere was a moment four seasons in the making. We’re given hints at what Killgrave (David Tennant) is capable of, but the extent of the Marvel villain’s mind control powers were made abundantly and brutally clear when his escaped victim Hope (Erin Moriarty) took a pistol and shot her loving parents to death at point blank range, all in front of Jessica (Krysten Ritter), who believed she had just saved the girl’s life. 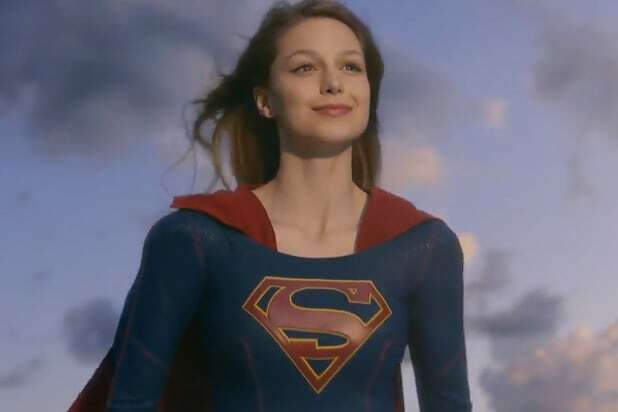 The plane rescue in the pilot was pretty cool, but “Supergirl” really took things to another level by introducing one of the most memorable DC comic book characters rather abruptly. Some had guessed that Hank Henshaw’s (David Harewood) glowing red eyes meant he had some kind of alter ego, but the reveal that he was actually a giant green Martian named J’onn J’onnzz was still pretty spectacular.